Sellers who want to move the transaction from one platform to another (for example, from Craigslist to eBay Motors). Sellers who claim that eBay's Vehicle Purchase Protection covers an auto transaction conducted outside the eBay site. Sellers who push for speedy completion of the transaction and request payments via quick wire transfer payment systems. Sellers who refuse to meet in person, or refuse to allow the buyer to physically inspect the vehicle before the purchase. Transactions in which the seller and vehicle are in different locations. Criminals often claim to have been transferred for work reasons, deployed by the military, or moved because of a family circumstance, and could not take the vehicle with them. Vehicles advertised at well below their market value. Remember, if it looks too good to be true, it probably is. "Subprime borrowers received 56.46 percent of loans on used cars in the quarter, up from 52.70 percent a year earlier." This fact in itself isn't too surprising since car loans are among some of the easiest loans to get. The 'no credit, no problem' mantras are always present at used car lots (especially the independent ones). Remember that car dealers have several ways to make money off an unsuspecting customer - unfavorable financing terms are one of the big ones. Don't forget to watch out for the lowball trade-in values or phantom fees. "The average amount financed for a new car rose $474 to $25,714. For a used car, the average amount financed rose $370 to $17,433." "The average time to repay new and used car loans increased by one month, to 64 months for new cars and to 60 months for used cars." Read the full article at the Chicago Tribune. 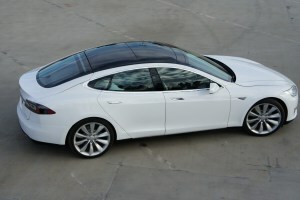 Tesla Electric Cars - Should they have a battery health gauge? Recent reports have claimed that the Tesla Roadster and Model X can have their batteries completely ruined if they are completely drained and left uncharged for long periods. The Tesla Roadster, the older of the two models. cannot be left uncharged for more than 2 months. The new Tesla Model X cannot be left unattended for more than 1 year. When these cars are resold, I have to wonder if there should be some type of gauge, similar to the odometer which reports on the health and durability of the car's battery. If I were buying a used Tesla, the second thing I would want to know is whether the owner took care of the battery. Like the odometer, this mechanism should be tamper-resistant and not susceptible to owners messing around with the settings. Obviously, used hybrid cars don't have this problem because their gas engines automatically start when the battery reaches a certain level. The average, actual sold price for a make/model based on the mileage of the car. These numbers are calculated from REAL prices submitted from users, certified Car Dealers, and public auctions. This information is a great way to gauge how much your car is worth based on what other people really paid. Here is the same dataset graphed with Price vs. Mileage. As expected, you can clearly see that a car's price declines as its mileage increases. Here are the average prices for the most recent model years. Again, this is a great way to see what what make/model/year a car is worth based on what other people really paid.